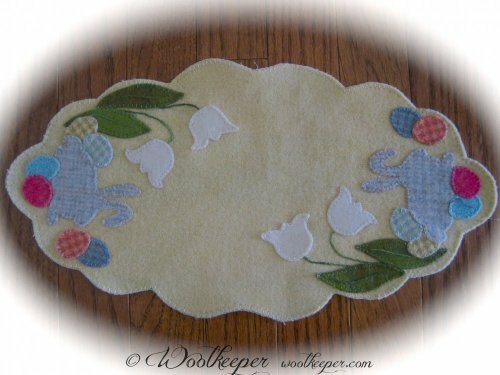 Sp”egg”tacular Spring is an 8” x 15” all wool scalloped appliqué mat featuring bunnies, tulips and eggs. This is a very popular mat. It stitches up quickly, is so cheerful and fits in small places. Pattern and Kit regularly 36.50. Cyber Sale Day 4 price $18.25. If you are looking for small stocking stuffers for your stitching friends, stop in Woolkeeper's Corner in Prairie Stitches Quilt Shoppe, 72 Main St. Oswego, Il. 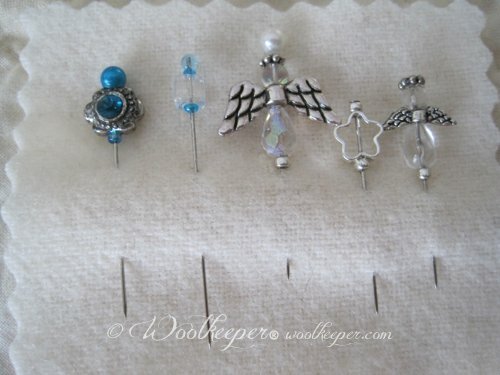 and check out the variety of 5 Decorative pins for $7.00. Many different collections available.